From 1999-2017, e-commerce sales increased from less than one percent of total US retail sales to more than nine percent, reflecting a 3,000 percent increase in e-commerce sales. Retailers are becoming more flexible in how they transact with consumers by decentralizing their distribution and fulfillment networks to bring inventory closer to consumers. Last Mile Fulfillment Centers represented 73 percent of the industrial real estate market in 2017, a 15 percentage point increase from the previous year. Intrastate and local hauls for e-commerce could serve as a training opportunity for 18-20-year-old drivers, representing a huge new pool of potential interstate truck drivers. E-commerce and the push toward omnichannel retailing are altering retail business models and distribution/fulfillment networks. The trucking industry is in a unique position to adapt to and prosper from these consumer-driven trends, as the more fragmented retail ecosystem has forced retailers to become more reliant on their logistics partners. 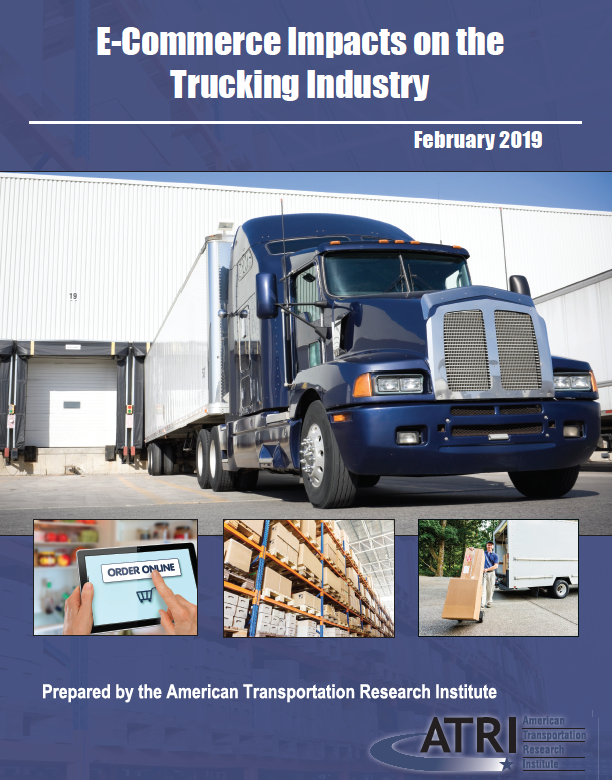 Trucking industry stakeholders are still adjusting to the implications of decentralized retail distribution/fulfillment networks and the growing demand for shipment and package deliveries in densely populated regions. As the composition of truck trips become more regionalized, motor carriers are experimenting with different types of equipment and technologies. Even more, carriers are tightening up their operations to accommodate the shorter delivery windows and faster turnaround times required by emerging retail business models. 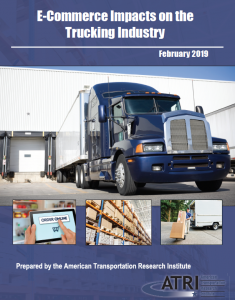 This research has also shed light on the opportunities and challenges that these changes present for the most critical issues facing the trucking industry. For instance, the growing volume of intra-regional and local operations may help alleviate some of the quality of life concerns underlying issues with Driver Retention as well as Driver Health and Wellness. At the same time, this added demand for truck trips has further emphasized the need for long-term solutions to the Driver Shortage.